Dead silence. It went over like a lead balloon. I thought it was a great idea. Bring on the pain! 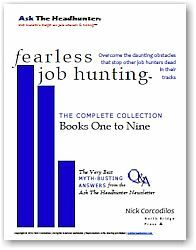 Let’s figure out the biggest, baddest obstacles people face when job hunting and hiring. If we can’t deal with them, we’re worthless. 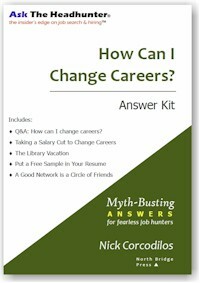 Job hunting, recruiting, interviewing, salary — the only questions about these that really matter are the IYFQ’s. Job hunting and hiring are often miserable experiences because the process is dumb and endlessly scripted. How many books and how much advice can we stand about “the top interview questions”, and about “how to negotiate”? Here’s what to wear; there’s the right body language; try these 10 active verbs; here’s the best answer to What’s your greatest weakness? ; this is the best way to discuss salary; try this clever answer to If you could be any animal, what animal would you be? ; here’s what to say at the end of the interview; and on, and on. Makes you cringe, doesn’t it? And what does it matter? It’s all drivel. It’s all dopey. It’s in a thousand books and it’s why the Employment System is broken. The process is so scripted that a dog with a note in its mouth could do an interview — on either side of the desk! But, does it get anybody hired? I don’t believe for a minute that there’s a process and steps-you-should-follow to hire or to get hired. If the rules were valid, every job ad would yield a relevant resume, every good resume would yield an appropriate interview, every interview would produce an offer — at least a little bit of the time. But, when you try the process, the empty pit in the bottom of your stomach reveals there is no method to it — just a madness that keeps people running around on the wheel. When you ask, What’s the next step?, the wheel just pulls you along faster to nowhere. Success depends on stepping off the wheel, and knowing how to deal with the daunting obstacles you suddenly encounter. The IYFQ’s. Questions that fearless job hunters and managers ask themselves but nobody wants to tackle. Can I tell the employer to take a hike when they ask what my current salary is? How will I get busted if I lie on my resume? Is it possible to nuke a bum reference before she nukes my next job? Can this candidate really do the job — or is he snowing me? This is why you can’t get hired or hire good people. These are just a few of the real obstacles that can cost you a job — or a good hire. Yah, they’re painful. But, if we can’t figure them out, we lose. What I’d like to know is, What IYFQ’s are stuck in your craw? What obstacles have screwed up your job search, or your hiring efforts? Or, do you really want to spend your life coming up with another clever answer to, Where do you see yourself in 5 years? No thanks. If we’re gonna talk about anything, let’s make it hurt so we can find and fix the pain. If you’re game, start with where it hurts — and post it. So my problem is that my skills are very horizontal. My skills are not very industry specific, the would apply to most any industry that leans on technology to get its job done. Sure, I can limit myself to the industries I’ve worked in, but those create serious job potential limitiations. How do I network effectively without a specific industry? Technology people see me as too business oriented, Business people as more of a technologist. YH – I bill myself as a business person who writes programs, not as a programmer. Yes, I can keep up with the really technical types, at least most of the time, but I don’t write programs just because the technology is neat. I write programs to solve business problems so my employer can run a more efficient company. And I work for a tobacco distributor, so if I limited myself to my current industry, I’d probably never leave my current company. Find a user’s group to join, or go to some seminars and mingle with other technologists. There are lots of ways to network. I’d like some specific ideas about asking the manager and the co-workers how they get along. I like to work with collegial people and I want to actively avoid offices where people fight and disrespect each other. However, during the interview, everyone is polite and polite and restrained. How do I bring this knowledge out? YH: You’ve gotta get out and circulate more ;-). Jim S is right: take some classes, some that are industry-specific (to cover your bases), some biz, some tech. Take classes you’re really interested in. You will meet people. To put it simply, go hang out with people who do the work you want to do. Visit your local chamber of commerce breakfast meeting a few times. Yah, this takes some real effort and dedication – people won’t come to you. Bonus: it’s fun. Jim S: My favorite answer to the 5-year question: “Gee, is your company gonna be AROUND in 5 years?” The bottom line is profit. Companies don’t hire people to fill positions or even to get work done. When the board of directors looks at things, they want to know, how is each dime spent (on salary, anything) going to produce more profit? That’s where any job search must start. Be ready to show a company how you will add to the bottom line, even if your explanation is simplistic. What matters most is that you TRY to show them. Lucille: You can’t ask how people get along. You have to see it, because as you point out, people are on their best behavior in interviews. So try this, with as disarming a smile as you can muster: “I’d like to sit in on one or two of your work meetings, to see how I fit in. That would give you a chance to see me in a work setting, too.” You will see everything you need to see. This is most easily done after the company has indicated it is serious about you – that’s when they’re likely to comply with your request. I don’t want to dominate this discussion — I’ll chime in, but the best advice on these questions will come from people who’ve dealt with them in the trenches. I hope you’ll post your insights and share the link with friends — the more perspective we get on this, the better. Thanks for the juicy bits already posted! I believe that a HUGE problem is corporate snobbery. Most companies believe that their hiring practices and policies are sound, when in fact, THEY STINK. This causes hiring managers and job hunters to dread the process, and as a result neither exercises due diligence. Companies audit their inventory and their books. How may companies audit their hiring practices and policies? It only makes sense if you truly believe that your people are your greatest asset. Why don’t companies bother to respond to applicants anymore? Nothing is more infuriating than completing a lengthy application process and hearing NOTHING back from the employer. Why would I want to work for a company that cannot afford the common courtesy of acknowledging my efforts? Why isn’t there a simple mechanism to link HR to the rest of a company so that if a company needs someone in a specific role then this can be communicated effectively to have an HR that can do a good job of sifting through resumes as it seems to me like there are usually 2 kinds of reactions: The deluge where there are tons of applicants, of varying quality, or the drought where there are very few, if any, applicants. How is it that those in the company that should be looking for people can’t build up a network to draw on for filling in various roles? Another part is that there are recruiting companies that have an odd conflict of interest in terms of placing people at various companies. If the recruiting firm only gets paid once someone is placed, why wouldn’t they want the company to have a churn so that they place more people there? Maybe the company would wise up and expect more but how can that be worked out so that the company gets a good hire and the recruiting firm isn’t trying to pull something? Why does it seem that there are places that like to stockpile resumes and not really do much with them? Why don’t recruiters try to give better feedback to applicants so that the job seekers aren’t repeatedly shooting themselves in the foot if there are some steps to try to correct parts of the getting hired process. 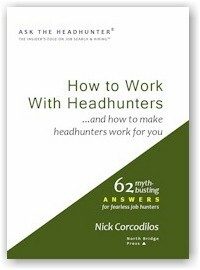 I think those are my main IFYQs on the whole “How to get a job/how to find someone” topic. I have IYFQ for the job seekers- are coming to me with an attitude that I owe you because you exist or are you coming to me with a value proposition that in my company I will add value in some way. I also want to ask any company I am looking to join how much they enable the top employees versus how much they spend on remediating the bottom employees. IE Do you spend a lot of training money and focus on the marginal employee or do you reward excellence. These questions can then be followed by a request for examples. My Director and I recently interviewed several people we that we really liked from their resumes. The one we hired was one who values office harmony and had a well thought out plan for handling conflicts in the office. Here is a copy and paste section from the dialog, after which I will go a little “Off-Topic” with what I hope will be humorous. OT Comment: There is an outstanding Thai restaurant, in the Metro Kansas City area, called the Thai Orchard. We discovered it in 1991, the year we moved from Shorewood, Wisconsin to Kansas City after I sold my Institutional Investment Research Boutique. As most of you readers may know, Thai food can be really hot. The Thai Orchard, for the most part prepares the dishes mild to medium. On request they will prepare it authentic. They call this HOT. In parenthesis, they write on the menu “Make you sweat”. 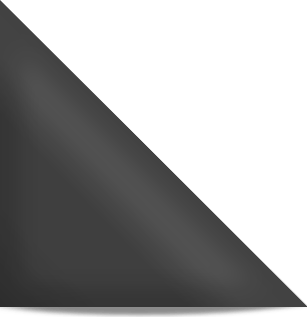 I have had it that way – they are right. Feels like getting out of a Sauna. I have hired people and I have, obviously, been hired. The process on each end is difficult for both sides. Perhaps, unlike many job seekers, I really enjoy the Interview Process. I have learned something from nearly every interview I attend. Only twice in my professional life from 1968 through 1995, have I ever interviewed for a position that I was not offered. Each of those times, 1976, and 1996, I went on and quickly found something else as good or even better. Thanks for your candor and refusal to accept status quo. You’re right about the hiring process today – it’s broken. What I can’t understand is why hiring managers put up with it, because in the end, you sink or swim with the people around you. That’s true for individual employees, a team, a department, or an entire organization. My personal dilemma is not having a formal degree. Despite over 15 years in highly responsible ‘degree-required’ professional positions, I’m having trouble getting a similar job. One opportunity with a county government involved work I performed very successfully for eight years in the private sector. The hiring manager told me I was the top candidate and that he was preparing an offer. He called later and said with great embarassment that his H.R. department had quashed the hire because I don’t have a degree. So my IYFQs are: why do companies value credentials more than a proven track record of successful performance? What can I do about it? Interviewing is the opposite of court testimony. Trial lawyers never ask a question they don’t know the answer to. In an interview, you should never ask a question that you DO know the answer to. Take a question like “How well do you get along with other people?” You can answer that yourself, without ever having to ask a person. “Pretty well, I think,” you’ll hear back. Nobody’s going to say “Well, I’m kind of a jerk.” The “how would X describe you” questions are only marginally better digging tools. The only way you get at answers like this, at real truth, is from stories. In response to queries about how to answer interview questions like, “Give me 3 (or 5 or whatever) adjectives to describe yourself,” or even, “How do you get along with others?”, here’s a novel idea. When I was downsized, I received outplacement assistance. The O/A program included a confidential survey administered by a third party who sent confidential questionnaires to as many people as I could provide them (OK, maybe 50 max., work-related, personal friends or both), asking these same exact questions – about ME. The third party compiled, summarized and provided the responses to me: I did not know who said what. The end result was that I had FACTUAL information to provide to potential employers: “Based on a 360 degree assessment in which I recently participated, my co-workers describe me as an articulate, intelligent team-player, and a great communicator.” Or, “As a team leader on the XYZ project, I made it a point to listen to others’ opinions and facilitate discussions democratically. My beliefs were borne out by the results of a 360 degree assesment in which I recently participated. That assessment revealed that others believe I am a fair, respectful and collaborative team leader who knows how to get things done.” It’s hard to argue with the truth when you can back it up with facts! Now, when I am interviewing, I use that information to formulate a response that is both truthful and accurate, and one with which I am comfortable. If your behavior is consistent over time and you exhibit many of the same qualities with co-workers that you do with your friends, this information will fall out of the survey, revealing your genuine self. If, on the other hand, your survey results in 50 different adjectives from 50 different respondents, you may want to examine what part of your actions is inconsistent with your beliefs! I agree with Charles on both of his points. Seeking a new career has been anything but personal for me with electronic applications and resumes and minimal feedback for my efforts. I never led from behind a computer screen or phone line but that seems to be the operating norm for many employers these days; if they respond at all. Why would I or should I still consider working for a company that fails to deliver a simple common courtesy? Consider moving to a new area and searching for a new career there. Now consider you are an organization moving to a new area and searching for qualified employers there. Some common denominators are communication and respect for each other; really a two-way street for both. So, as Greg states in one of his IYFQs, both should be bringing some “value position” to the other, and in this regard each does owe the other something to some extent. For the few formal interviews I have been to, I found myself interviewing the interviewer. In every case I found that the interviewer hadn’t read my resume (or recalled information in it) and that I was better suited (more experience, common sense, and education) for their job than they were. I concluded that I would not be happy or satisfied working with their organization. (The more I learned the more questions arose.) In one instance the interviewer would have been my boss. In another the interviewer was attempting to fit me into a job I was not there to interview for. A relationship needs to be built between the hiring manager, interviewer, or headhunter and applicant. This is similar to some of the questions I read in the blog so far. In addition to asking how I get along with others, establish a relationship right away and start judging it immediately. It may not tell the entire story but the interview is to see if both of us fit for the organization. And if there is any misconception as to why I am there in the first place, my time and effort are worth just as much to me as yours are (should be) to you. Let’s not kid ourselves. What?! Am I the only one out here who reads Nick’s newsletter?!!! “The only way you get real truth is from stories?” Pulease !! Nick already said it above: If you want to know how someone will be with your team, put him or her with your team in a real situation. And as a potential employee, I want that too. I want to find out how you work as a team. If it’s a bad fit for you, it’s a bad fit for me too. Now, don’t get me wrong. I’ve taken jobs just because I really needed a job. In the most recent situation, deep down I probably knew it wasn’t going to be a good fit. But neither of us really tried each other out until I was there, so that’s when we both found out. I left after 9 months. Now, be serious – Do you really think the people you’re interveiwing can’t make up stories? a) “…too qualified for the position”; having spent a few years in IT, the Interviewer was reluctant to hire someone that just might take their job. Worse, the speed in which most IT jobs change today, it could be true! I’ll admit it as it’s better than the alternative. b) “…not qualified enough for the position”; as the world of IT changes from offshoring to smart-shoring, from diversity to a blended workforce, hiring a qualified candidate is relative. Again, the hiring source was reluctant to hire someone who might flee once the US economy improves. It’s impossible for the hiring process to be completely forthright with the candidate because of the system that supports it. We would need a gaggle of lawyers standing in the next room to mediate a simple interview if we freely asked IYFQs. It’s the same thing since the beginning of time. Candidates become employees who become experts in their respective fields [that’s if they’re good at what they do]. Once they’ve become dissatisfied with their present positions, they move on. The very people that hired them do it too. With the advent of online social networks and blogs, it’s amazing how small the world has become. Now you can see how frequently people move from place to place, even in a tight job market, without ever having to leave your chair. Come on, folks! This is your work life we’re talking about. For the sake of your own and your family’s sanity, don’t you want to at least TRY to find a good fit with the people you’ll be spending the majority of your time with in the foreseeable future? Of course interviewEEs can, and do, make up stories. The same can be said of the interviewERs and the companies they represent. That begs the question, whatever happened to personal integrity and authenticity? If everyone went around making up stories all day long, nobody would be happy ANYWHERE for ANY amount of time, companies wouldn’t be happy with ANYONE, and NOTHING would get done! Seriously, on the above question, who’s got some appropriate responses? I think there is the typical response of figuring out a career path that long and say that in 5 years, “I would like to be in position X, doing Y, and enjoying Z.” The idea here is to question if you were prepared for that question, are a planner, ambitious, or just to mess with you, I think. One thing to ponder in questions about the future is whether or not some prerequisite situation will happen, e.g. I could get hit by a bus tomorrow and die, which would put me as dead and fairly well decomposed by 5 years, or someone thinks they want to get into a management job and then discovers they don’t want it and so the plan of being a manager didn’t pan out. Another thought would be to answer with, “In exactly 5 years from now, I will be enjoying a nice vacation as a reward for delivering many successful projects for your company,” and see how that goes over. I would like to comment on the question “Where do see yourself 5 years from today”. I have heard this question being asked many a times and at times have used the same question myself. Well there are many ways one could address this. I for one have replied very calmly to the interviewer ” Well 5 years for today I would like to see myself as a VP in this cimpnay itself but you tell me what are the plans you have for the position that I am interviewing for. What are the growth plans you have for a person you are hiring in this position. How are you going to support my aspirations of reaching X peosition with Y salary in 5 years time”. This has many times not got any response at all for some have just said that they do not have a plan in place !!!!!!! A reply to Needling’s question: Where do you see yourself in 5 years? I see myself continuing to make a positive impact within the organization by providing vision toward strategic goals, implementing and fostering positive cultural change through effective uses of human and technological resources, and reinforcing the importance of attaining these ideals through education, experience, and mentoring. Well, I’ll post about a recent offer that got rescinded. After offering me the position, I countered with I thought was a reasonable counter offer. 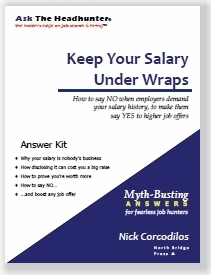 Some two weeks later, hearing nothing further, the recruiter (not a real HR jockey, but just as bad) demanded a pay stub after I had evaded the question previously by getting them to cough up the salary range, to which I used Nick’s NDA defense. All I got in return was several weeks silence, and when I emailed the hiring manager and the recruiter, the answer I got was conveniently someone else showed up internally and they rescinded the offer. But I’m really OK with that. I didn’t compromise my salary information and I actually feel better about the whole thing. Thanks, Nick! In Your Face Questions – Here’s a good one. One guy who struggles through school his whole early life. He understands the material but he has poor social skills and doesn’t test well. He’s never done well taking tests and exams. Now apply this to the working world. I don’t interview well and my ability to communicate is often a jumbled puzzle at best. Do I deserve to remain unemployed because of this? Do I deserved to remain alone for the rest of my life because of this? The Question I’m getting at is this. Giant corporate retailers seem to demand absolute flawless perfection and the attitude is anything less is absolutely completely unacceptable. To show I’m human is wrong and I get shown the door. This can’t go on. Giant retailers like Home Depot and Walmart aren’t listening to reason. They’re not going to get good workers by laying too much weight on the hiring process. Finding the best work or workers often requiring take a leap of faith. If someone isn’t interviewing well, then chances are their strength will show in working performance. And if corporate elite won’t allow that anymore, they all they’ll get are the lazy, unmotivated, cheating slackers there are now whose ignorance will enventually put the consumer world out of business. This is what they don’t see and don’t care about. And it probably is never going to change until it’s too late. Someone needs to stand up to these ivory tower elltists and make them see what they’re doing wrong, because their mindset is not in reality.